Ania Amador paints everything from large scale murals to custom collages. She has been painting for over 10 years and continues to grow as an artist as she travels around the United States, spreading a positive message through her art. 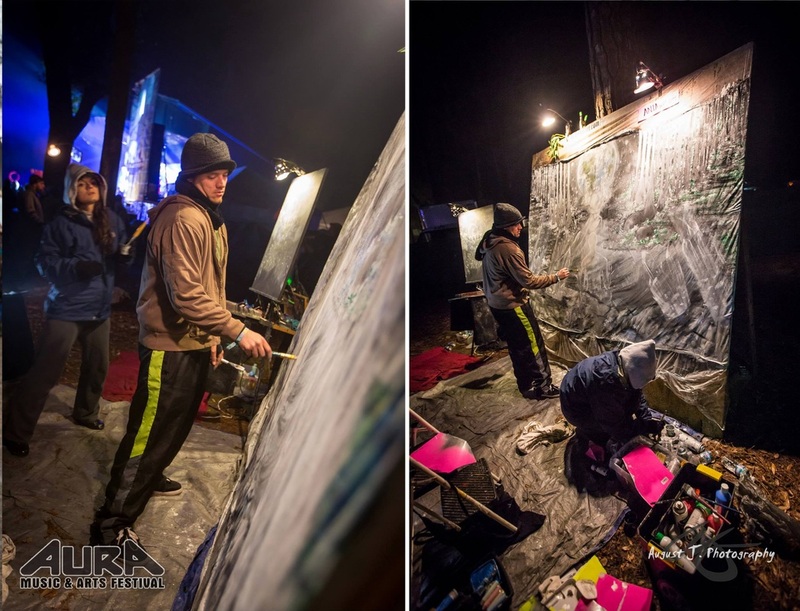 Christopher Morphis has live painted at hundreds of events across the United States, with a variety of well known musicians and entertainers. His art is thought provoking and uplifting, and ranges in style. Christopher's energy radiates through his art and speaks to people in a unique way. Christopher's skill combined with Ania's technique creates a powerful experience through art. Their visualizations come to life as completely different backgrounds, specialties, and experiences bring them together to create one positive flow, felt by anyone who encounters their artwork. Together, Ania and Chris are committed to spreading a conscious message about peace, love, liberty, and meditation through their collaborative work, and reaching as many people as possible with their unique gifts.